Seven new student Ambassadors have joined the Pensacola State College family. Kidada Brown, Cora Cook, Amanda Faller, Bailee Reeder, Rabecca Cowen, Leah Struble and Heather Sport will serve as official PSC hostesses starting this summer. They will join six returning Ambassadors – Coltin James, Alonzo Moody, Kolby Copeland, Victoria Fader, Jasmyn Hearn, Kayla Pritchett – and represent the college during campus visits and tours, commencements, alumni and foundation activities and recruiting initiatives. 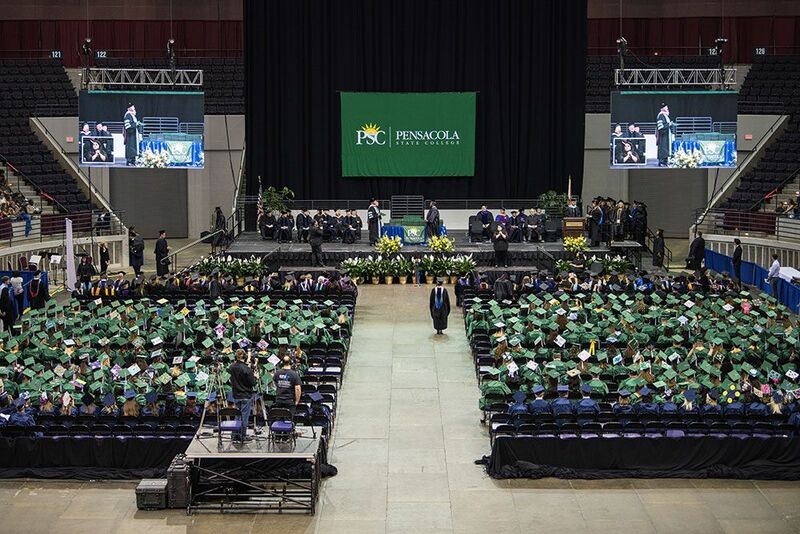 Tom Gilliam, vice president of Students Affairs and General Counsel, said the Ambassadors will play an important role at PSC during the upcoming school year. Samantha Hill, adviser to the Ambassadors, echoed Gilliam’s statements. 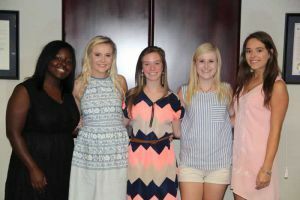 “We felt these seven young ladies exemplified the model PSC student. They are outgoing, outstanding students and great leaders in the making,” she said. The new Ambassadors – all 2016 high school graduates – were chosen from a pool of more than 30 applicants. Criteria for selection was based on demonstration of leadership, academic achievement, community involvement and display of pride and ownership of PSC. Ambassadors also receive a full scholarship to PSC which covers tuition, books, fees and other costs. Brown, a Milton High graduate, looks forward to representing the college. Cook is a Pace High grad, Faller is from Pine Forest, Cowen is from Gulf Breeze, and Reeder, Struble and Sport, are all Tate High grads.